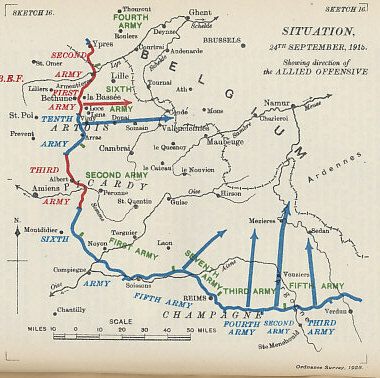 The Second Battle of Champagne was part of General Joseph Joffre's Champagne-Loos-Artois Offensive for the fall of 1915, and the second of three Battles of Champagne. 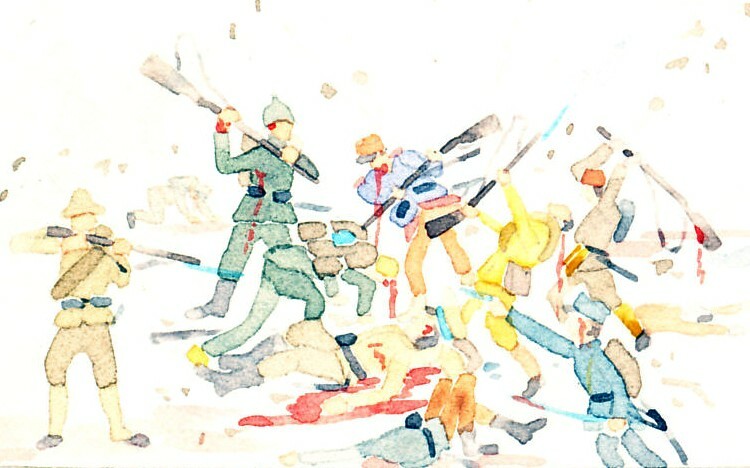 On September 25, 1915, after a four-day bombardment, as the British and French launched attacks in Artois - the British in the Battle of Loos, and the French to the south on their right in the Third Battle of Artois - General Castelnau attacked with two French armies in Champagne. Castelnau's troops advanced along a 15-mile front, achieving a “notable victory”, and Pétain suspended his attack after three days. Responding to the directive of German Chief of the General Staff Erich von Falkenhayn to retake lost ground, the Germans counter-attacked on October 8 with a general attack along the Anglo-French line with four divisions, suffering heavy losses. The French suffered 190,000 casualties while taking 27,000 prisoners and inflicting 100,000 casualties on the German defenders. Most of the Germany losses were in counter-attacks. 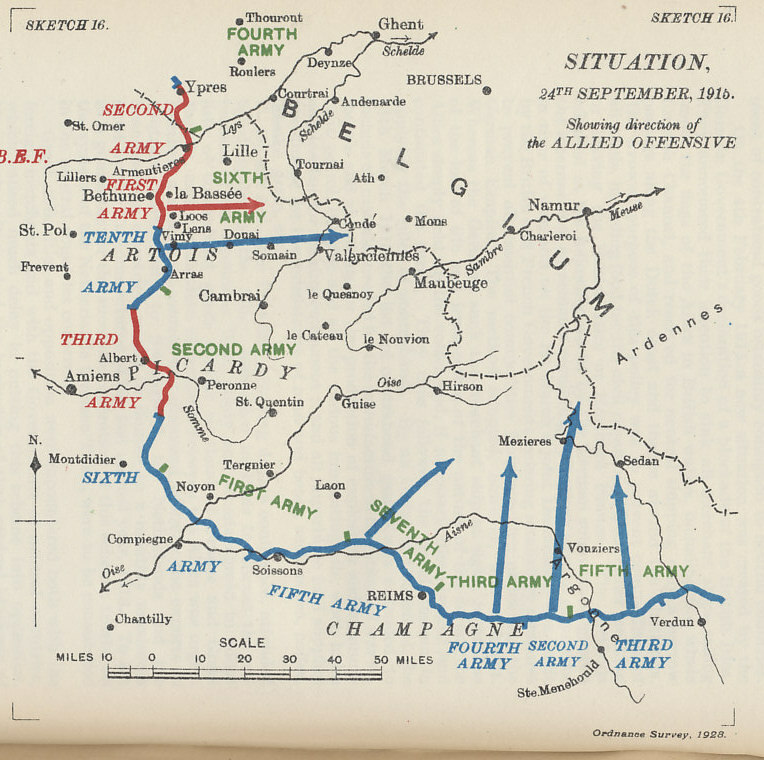 Second Battle of Champagne is part of The Champagne-Loos-Artois Offensive, Autumn 1915.